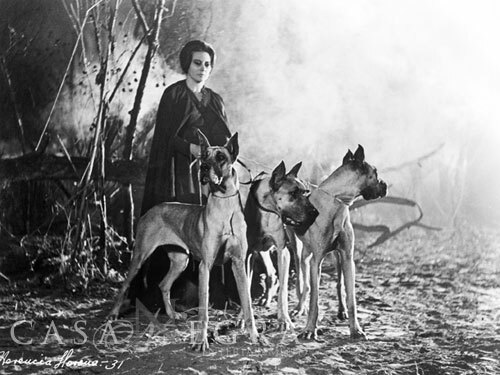 Tonight we revisit the world of Mexican Gothic, a glorious period in Mexico's horror cinema from the late Fifties to early Sixties, after which the intrusion of colour cheapened its brooding black and white aesthetic. Mexico's was an idiosyncratic take on the vintage Universal horrors and the ghoulish terrors of Britain's Hammer films and their European partners-in-crime. One of the truly memorable moments from this brief window in time is the image of La Llorona or the Crying Woman, obsidian eyes blazing and smile like a fatal slash across her cruel white features, holding onto three rabid and almost skeletal hounds straining at their leashes, while her crippled servant Juan dispatches an entire carriage of innocents to their demise. It's the critical point at which Mexican folklore collides with full-tilt Horror, and that moment, along with The Curse Of The Crying Woman's many other iconic snapshots, is breathtaking. 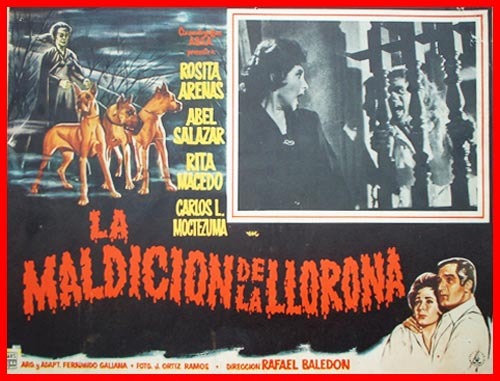 La Llorona the Crying Woman is an old Mexican tale of a peasant woman who gives birth to a rich man's child, only to be spurned for a more acceptable new bride. The woman then kills the baby and commits suicide, leaving her wailing ghost to roam the countryside looking for her lost child. The much-told story is often associated with that of Dona Marina, an Aztec princess who bears the child of Hernan Cortez; the scars of class-bound shame are thus stitched to the deeper wounds of the Spanish invasion and colonization. 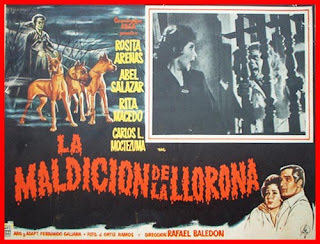 In other versions, La Llorona is a supernatural predator, a witch who had possibly died during childbirth, and thus feasts on the misery of dying infants. 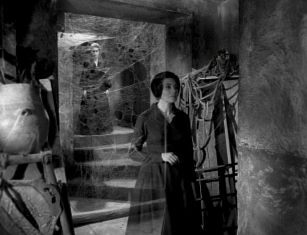 It's tale often filmed, either as a traditional ghost story, or by exploiting the brand name in a tenuously-linked narrative. In The Curse Of The Crying Woman, the figure of La Llorona is no longer looking for her own child, and is instead an otherworldly superwitch, possessing the souls of her descendants. The spirit is still wailing and quite supernatural to the point of vampiric – her possessed relatives avoid daylight hours, won't cast a reflection, salivate at the sight of blood, and perform the old Bela Lugosi trick of walking straight through cobwebs. Fate and enduring evil are just two themes at work in The Curse Of The Crying Woman. The young and beautiful Amelia brings her new husband Jaime to meet her long-estranged aunt Selma in her isolated mansion deep in the woods. She discovers Selma looks exactly as she did fifteen years before, is now widowed – or so SHE says – and draped in black, and is deep in research into the Black Arts. 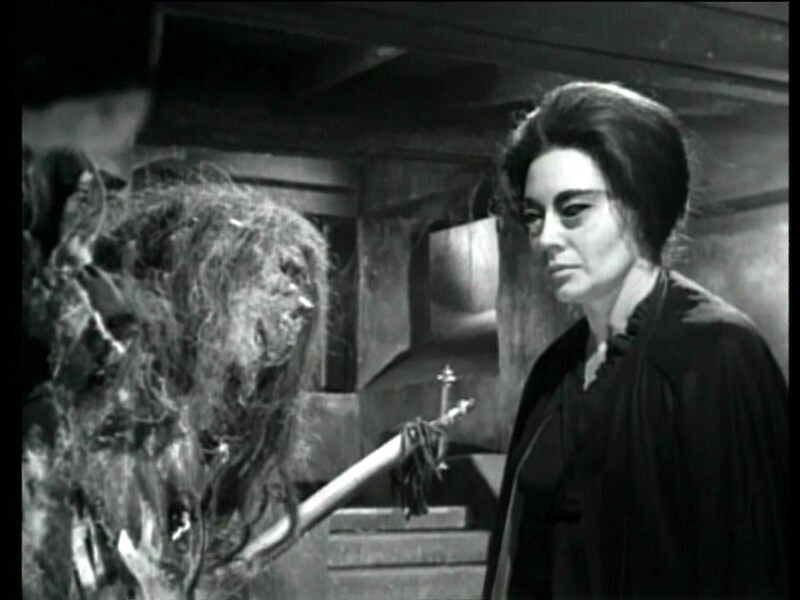 So deep, in fact, that she keeps the desiccated corpse of Dona Marina herself, their long-distant relative, stretched on her Aztec torturer's wheel with a long spear through her accursed heart. The malevolent presence Dona Marina is everywhere, from the skulls and black orbs staring out of mirrors, to the wailing of an unseen presence filling the empty hallways. It's no coincidence that Amelia has reunited with her bloodline, as legend has it that Dona Marina makes her triumphant return that midnight. Fatalism descends upon Amelia like a black shroud as she awaits the family curse to unfold; not so Jaime, who has clearly heard of what happens to male members of the Marina clan, and is determined to break the cycle of damnation and death. 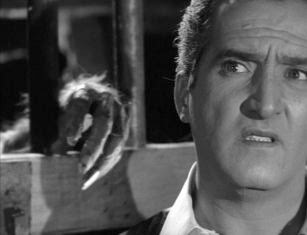 Abel Salazar as Jaime is always a welcome face in Mexican horrors, and takes on the producer's reins as he did in The Vampire and The Brainiac. As Aunt Selma, Rita Macedo is perfect at containing her inherent evil and thirst for power behind her beautifully benign mask. The house itself takes on a menacing role, a secluded mausoleum straight out of Poe's Fall Of The House Of Usher, and its ultimate demise is nothing short of spectacular; even the studio-bound forest takes on the ever-present threat of death, as in another snapshot moment of Amelia surrounded by hundreds of eyes staring accusingly from the branches. 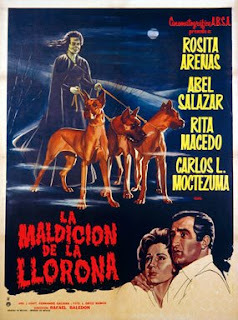 All the elements are in place – bloodsucking beauties, bats in the bell tower, the Thing in the attic, and those black, black eyes – for a bona fide masterpiece of Mexican horror. 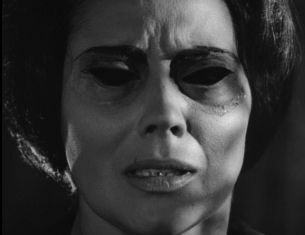 I hope you are suitably unnerved by The Curse Of The Crying Woman.